The Biggest Value in the 500 Class. Everyone’s looking for the one motorcycle that can do it all—that you can start out on, that fits a wide variety of riders, that can take you to work, school, or on a weekend ride. Used to be there were tons of bikes in this “standard” class. Not so many these days. But here’s the good news: The Honda CB500F is probably the best do-it-all middle-displacement streetbike around. Big surprise—Honda revolutionized the world of motorcycling with their midsized twins a generation ago. And here’s the intel on the latest members of the family. 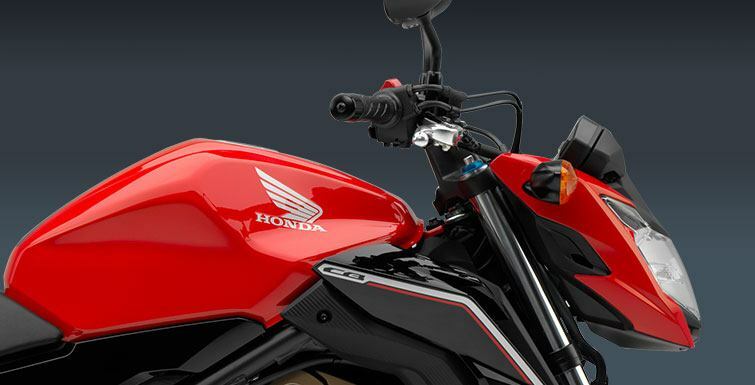 With its minimal bodywork, a classic riding position, and a 30.9-inch seat height that fits a wide range of riders, the CB500F is going to suit just about any rider. 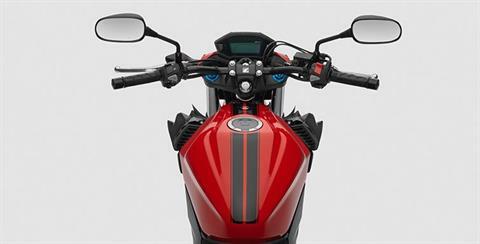 It has a powerful twin-cylinder engine and a wide, user-friendly powerband. It’s a great bike to start out on, or to come back to, or to just ride forever. 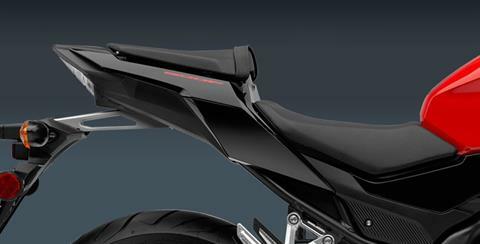 It embraces the best of motorcycling, and doesn’t get sidetracked with too much flavor-of-the-week design. You want an authentic ride? It just doesn’t get any better than a CB500F. LED HEADLIGHT:The CB500F’s LED headlight gives the front end a cutting-edge look and also projects plenty of light on the road for visibility. DIGITAL INSTRUMENTATION: Full LCD blue-tinted screen features a digital speedometer and tachometer and more, including a clock, odometer, trip meter, real-time and average fuel consumption meters, and illuminated engine diagnostic indicators. UNIQUE: Less is more when it comes to the CB500F, but for 2016, we’ve fine-tuned that look to freshen things up a bit. 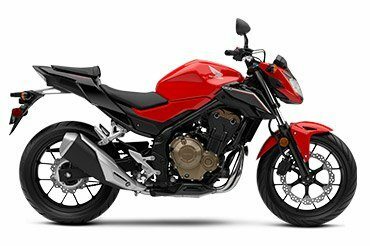 With its classic, clean, progressive style, the CB500F is a motorcycle that looks great while still providing incredible value and performance. 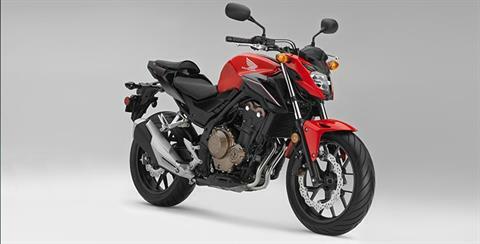 DOHC TWIN-CYLINDER ENGINE: Honda twins are famous for their versatility, and the CB500F engine is one of our best ever. Using the same piston bore size as our CBR600RR sportbike, the parallel-twin engine offers accessible performance across all RPM ranges. PROGRAMMED FUEL INJECTION (PGM-FI): Programmed Fuel Injection (PGM-FI) continuously monitors several variables to ensure the correct fuel mixture is delivered for the existing riding and atmospheric conditions for crisp throttle response throughout a wide variety of riding conditions. STEEL-TUBE FRAME: A motorcycle’s frame is the basis for its handling. 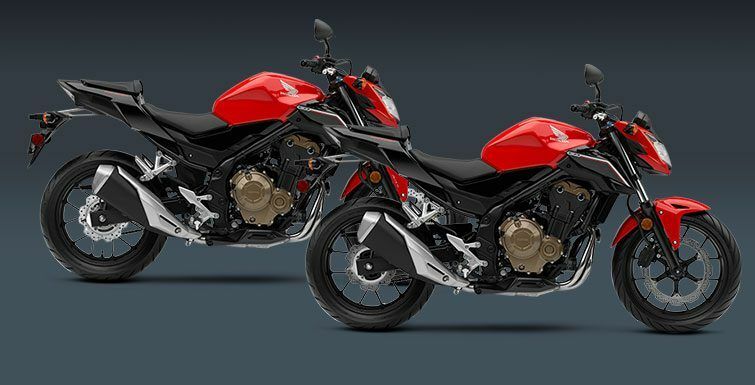 A take on a classic construction, the CB500F’s diamond-shaped 35 mm steel-tube mainframe ties to the engine with four mounts, offering a rock-solid foundation for a superior ride and handling. PRO-LINK® REAR SUSPENSION: A sophisticated chassis with Honda Pro-Link® rear suspension, nine-stage preload, and 4.7-inch travel give you a comfortable ride over small bumps, while capably absorbing bigger bumps to increase riding comfort and handling. REAR GRIPS: Sturdy rear passenger grips offer a firm handhold for your passenger or tie-down points for smaller items. DISC BRAKES: The front 320 mm wave-style disc brake and 240 mm rear provide strong stopping power. CAST WHEELS: Strong and stylish, the CB500F’s 12-spoke cast-aluminum wheels are easy to keep clean, look great, and are another CB500F feature that just makes sense. 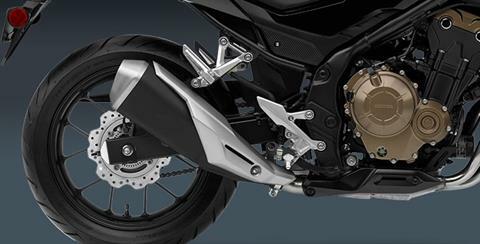 TRIM EXHAUST: The CB500F’s compact exhaust system is a perfect example of the bike’s overall philosophy. It’s compact, it looks great, and it sounds awesome too, with a crisp exhaust note you’re going to love.